NOTE: A bridge is usually called either a hub or a (layer 2) switch, where a hub typically forwards all the data coming in on one of the ports to all the other ports and a switch provides some additional functionality such as forwarding packets only to a specific port. NOTE: It can offer this functionality to other components in the same device. NOTE: The consumption is independent of the delivery. NOTE: Systems coding is defined in ISO/IEC 13818- 1 . The real time interface specification is defined in ISO/IEC 13818- 9 . NOTE: Program elements may be elementary streams. Program elements need not have any defined time base; those that do, have a common time base and are intended for synchronized presentation. Taken from ISO/IEC 13818-1 . NOTE: A router is able to select among multiple paths to route packets through the network based on a destination address available in the packet. The only OSI layer 3 type considered is IP. NOTE: See clause 4 on architecture. In the context of the present document, SP will mean a Service Provider providing DVB-IPTV services. NOTE: This table may be omitted as it has no meaning in the context of IP services. 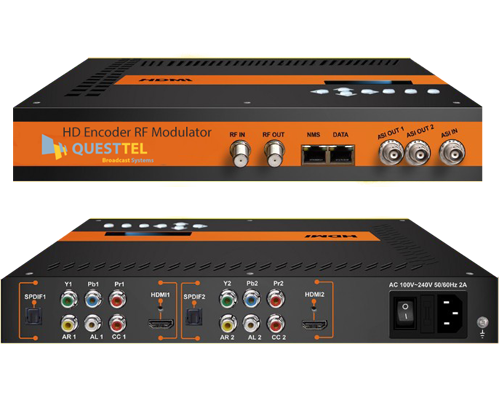 All-in-one 2 Channel Full HD Compact Encoder Modulator which integrates encoding MPEG-2, MPEG-4/H.264 modulation to convert HDMI/YPbPr /CVBS signals to digital RF output. To meet customers various requirements. The B-QAM-HDMI-IP-2CH is also equipped with 1 ASI input, and output with 2 ASI ports and 1 IP port. 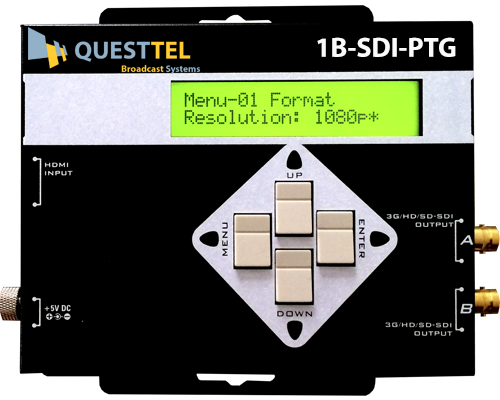 The 1B-SDI-PTG 3G-HD/SD SDI Pattern Generator - advanced SDI pattern generator with multi-format and multi-pattern support. 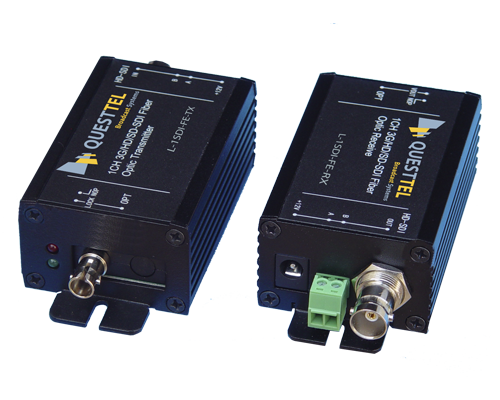 Provides a simple and effective way to calibrate and test SDI video.